It’s that time of the year when students are filled with excitement and focused on nothing but the upcoming festivities. You know the ones I’m talking about… A jolly old man riding in a sleigh bringing new toys and electronics. Anything but what you are trying hard to keep them focused on. First, I have for you an adorable reindeer! To make this fun holiday craft, you first need to find an old antique hanger – you know, the kind that is made out of metal, not plastic. If you don’t have one just lying around your house, try asking parents to donate some or even head over to a local thrift store. Sometimes they have them. Next, you’ll need to bend the hanger by pulling the middle of the bottom piece down making the nose of the reindeer. (See picture above.) Then using a knee-high pantyhose (Just one – you can buy a box of 10 pairs for about $5 so easily making that 20 reindeer.) run it up over that part of the hanger and tie it at the top. I simply used a bread tie but you could also use a rubber band. Next, you will glue on it a pom-pom for the nose (any color you desire) and a bow from ribbon for the top. Add some googly eyes and cut out antlers from some brown foam by gluing them on. I use regular glue with my class, but with my personal one, I used hot glue. It’s completely up to you. 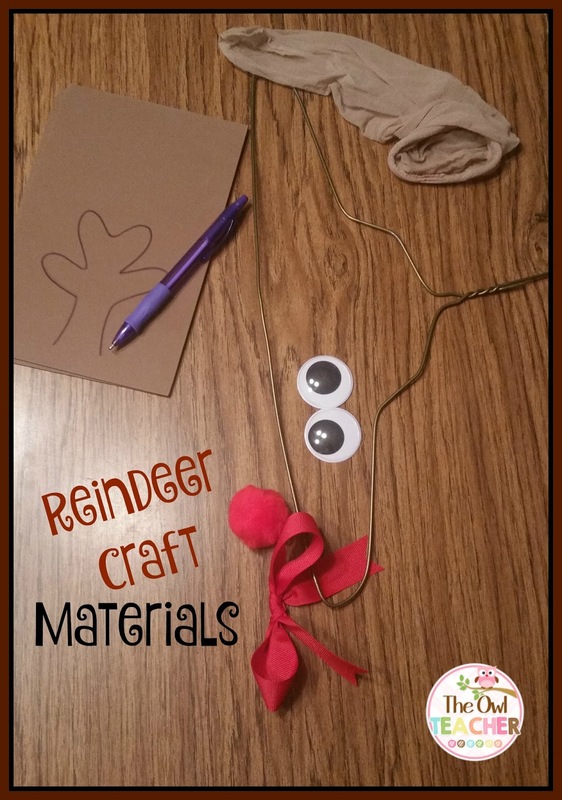 As a more inexpensive option, you could create the eyes, bow, and antlers out of construction paper. Some students have even added pink to the cheeks. 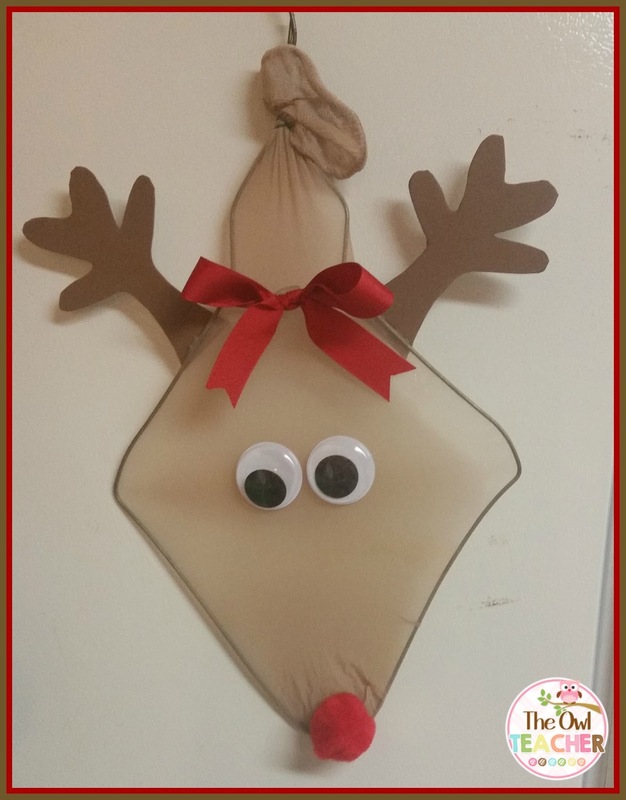 With the top part of the hanger – you can hang it easily! And now, number two – These cute snowmen treats! This holiday craft is yummy! A few years ago a mom brought these into the classroom for our class party (somewhere my old principal is freaking out because I said “party” and not “celebration.” “We do NOT party at school,” he said.) I absolutely fell in love with them and so did the kids! It’s so incredibly easy to create and you simply attach a sucker to the back. What kiddo isn’t going to enjoy a fun treat? 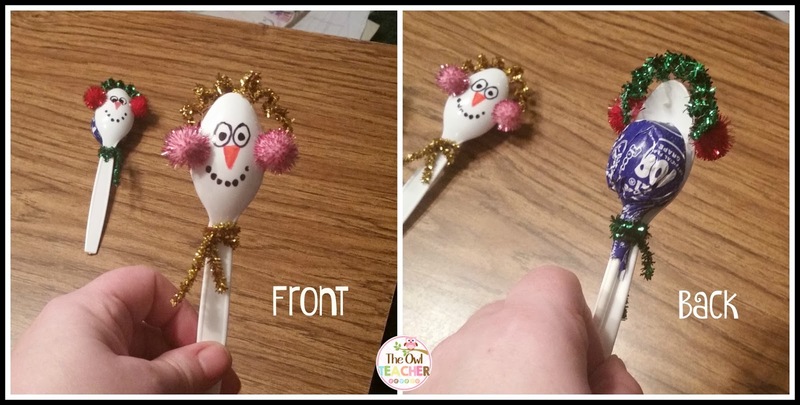 To begin, grab a plastic spoon and glue two teeny-tiny pom-poms on the sides to represent the ear muffs. You can choose any color of your choice. Then take a pipe cleaner of any color and cut it in half. The hardest part is taking one half of the pipe cleaner and spiraling it to create the head part of the ear muffs. After gluing it to the ear muffs, wrap the other half around the sucker and spoon to create a scarf that is nicely holding the sucker in place. Then using a sharpie (water-based markers will not work) create the adorable face! Voila! Easy peasy! And for number three… Create a Santa! 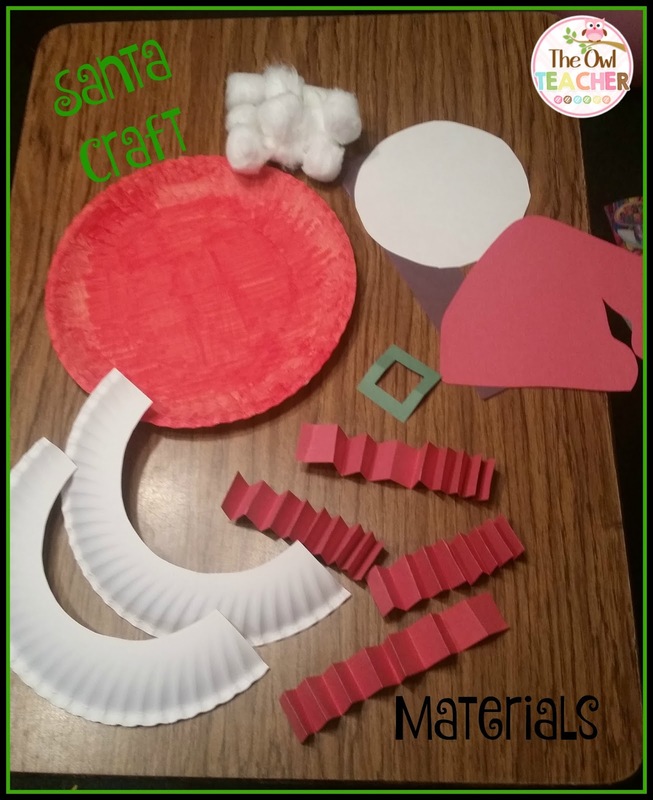 This Santa holiday craft is made from paper plates, construction paper, and cotton balls! First, take one paper plate and cut out the middle circle. The inner circle will be Santa’s head and the rims will be used to create the beard – once cotton balls are glued on to it. The second paper plate can be painted or colored red and will be the body of Mr. Claus. 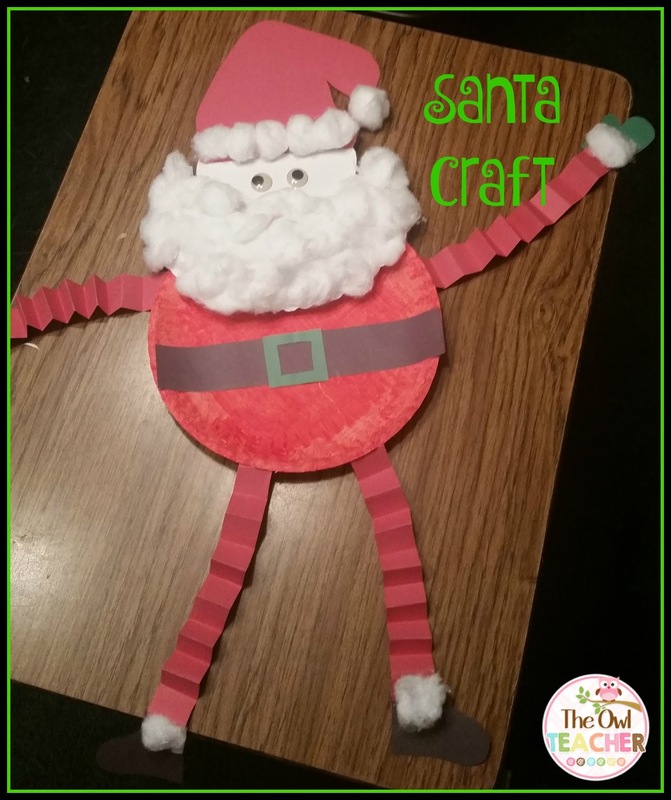 Take construction paper strips and folding it like an accordion, glue it to the “body” to create the arms and legs of the jolly old man. I used black construction paper to create a belt and boots, and I used green to create the buckle to the belt and the mittens of Santa. After gluing on everything, create a hat and add more cotton balls to decorate. I was thinking a student could easily add a letter to Santa on this – either his belly or attached to his mitten. The fun with holiday crafts doesn’t stop here! You can check out my past posts where we made symmetrical toy soldiers, stained glass windows, and Gingerbread stories here or the beautiful holiday craft snowmen we made from socks here. And definitely, don’t forget to check out my 12 days of Christmas science blog post that is sure to engage your students while secretly teaching them science! 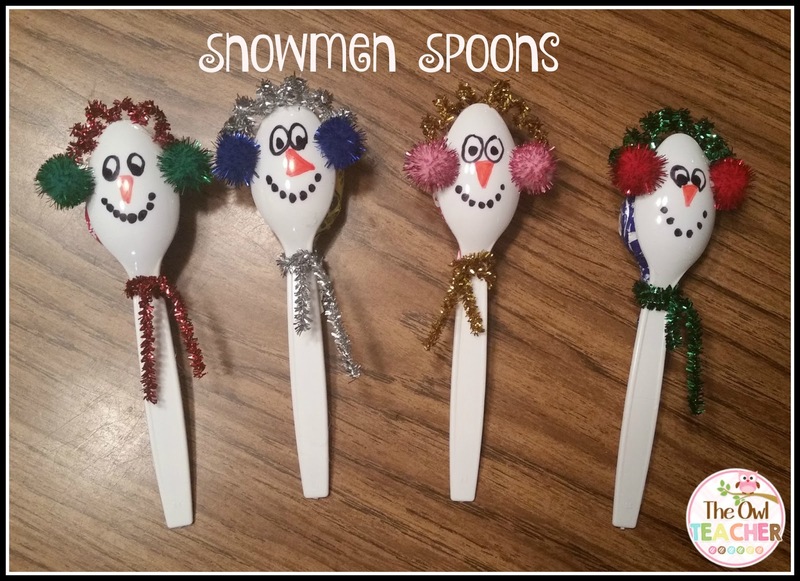 « The Perfect Snowman Craft – From Socks! Your work is good. I enjoyed a lot. You can make more beautiful your work through some creative way. There are some different type of writing style,design,format. To get more information about this you can go through best essay writing service . 10 Things Teachers MUST DO on the 1st Day of School!